Have you ever found a beauty product that worked so well that you'll just never, ever leave it? In fact, you love it so much that you end up with various tubes or pots of the stuff littered in many of your coats and bags so you never have to go without it? That's me with Carmex. The £3 tube has rescued my dry, chapped lips on many occasion and even plumps them up slightly thanks to the salicylic acid in the product. But over the years (it's been over a decade love affair), I've discovered other uses for this beauty classic. 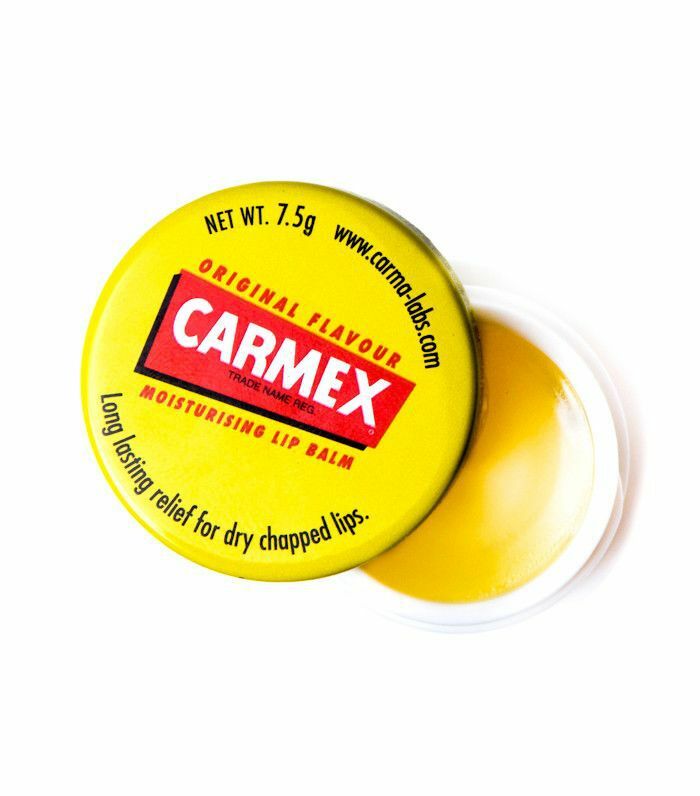 Keep scrolling to read more about the uses for Carmex and why everyone should own a pot of the stuff. Eyebrows: Don't have an eyebrow pencil or clear gel on hand? Fear not; whip out your trusty Carmex pot and slick the stuff over your brows. Cheeks: We wouldn't normally recommend this, in case it clogs up your pores. However, if you're in desperate need of perking up your face and want to look more awake, try dabbing this over your cheekbones for a dewy, highlighted look. Cuticles: Always suffer from dry cuticles and hangnails? Use this daily, and wait for the incredible results. Insect bites: Surprising, yes, and while this isn't medically approved, Carmex reports that many of its customers use the stuff on bites and small burns, thanks to its small volume of camphor and menthol, which help soothe the affected area. Have I convinced you yet? I guarantee that when you start on the Carmex, every bag and coat you own will end up the same as mine.